Lisp for microcontrollers – uLisp interpreter supports #Adafruit M4 boards @johnson_davies « Adafruit Industries – Makers, hackers, artists, designers and engineers! uLisp® is a version of the Lisp programming language specifically designed to run on microcontrollers with a limited amount of RAM. It currently supports the Arduino ATmega-based boards, Arduino ARM SAM/SAMD-based boards, Adafruit ARM SAMD51-based boards, BBC Micro Bit, and MSP430-based LaunchPad boards. You can use exactly the same uLisp program, irrespective of the platform. Lisp is a flexible language, with many advanced features that make it easier to program in than C or C++, so it’s ideal for learning about fundamental programming concepts. It’s also an ideal language for expressing complex ideas, such as teaching a robot to solve mazes or finding the shortest route on a map. 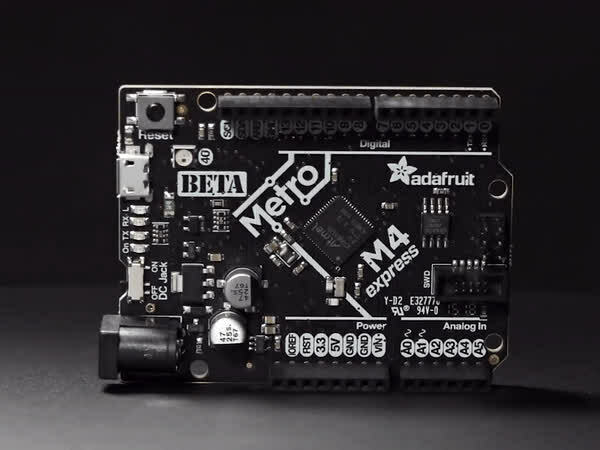 The ARM version of uLisp now includes support for Adafruit’s M4 ATSAMD51-based series of boards: the Adafruit Metro M4, Adafruit ItsyBitsy M4, and Adafruit Feather M4. With 120MHz processors these are now the fastest platforms for running uLisp. For more information see Adafruit M4 Boards. Also see Dave Astel’s guide in the Adafruit Learning System on using high level languages like Lisp on the Adafruit M4 based boards.